I don’t think I’ve ever seen a restaurant in a carpark – until now. The laneway scene in Melbourne keeps revealing surprises and today was no different. My work colleague suggested “Carpark Malaysian” for lunch and I thought she meant that the restaurant was called Carpark and it was Malaysian. 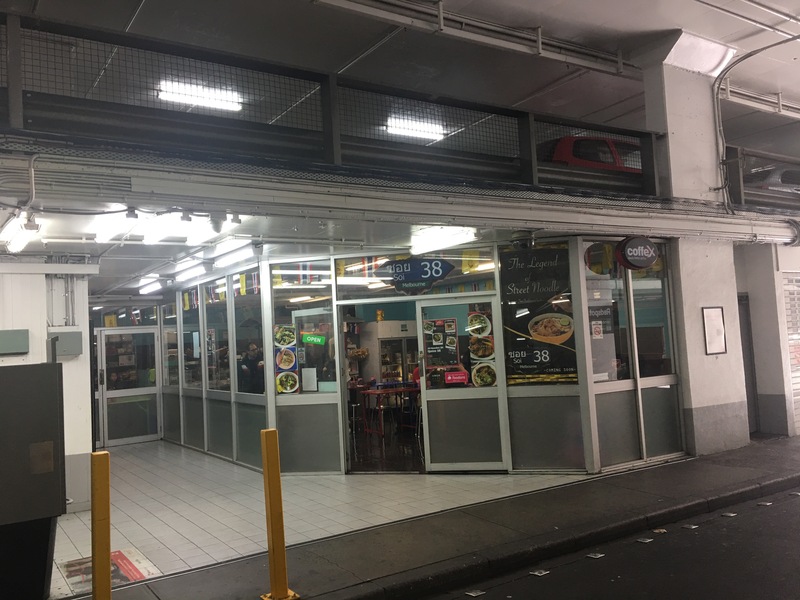 It is actually a Thai noodle house, it is called Soi 38 and is at the bottom of a Wilson carpark in a laneway of Little Collins Street. It is a bright little place with street vending vans serving as the counter and colourful laminate tables and stools at which you eat. 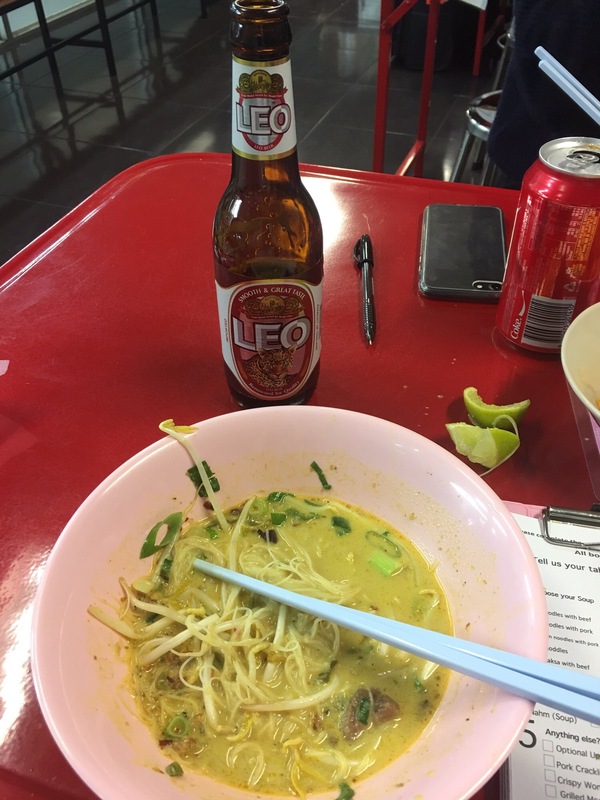 The stunning Thai noodles can be washed down with $6 bottles of Leo beer. Bags of shredded pork crackling are also available. Yet another hidden gem in Melbourne. A unique experience.